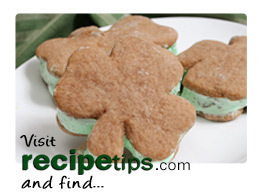 RecipeTips.com has everything you'll need to make your St. Patrick's Day celebration a festive event. Use our easy-to-follow videos and illustrated cooking articles to become an expert in the kitchen, giving you all of the knowledge you'll need to prepare your favorite dishes for St. Patrick's Day or any other special occasion. The slow cooking of this dish, transforms a simple beef brisket and head of cabbage into a fantastic one-pot meal. Wonderful, warming drink for a cold winter day. 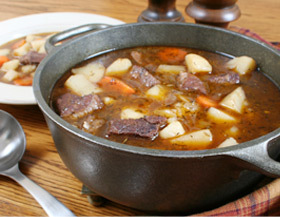 An Irish dish made of potatoes and cabbage that is great for any time of the year. The bacon adds extra flavor. A traditional Irish cake recipe made with cream cheese and raisins topped with a lemon glaze.